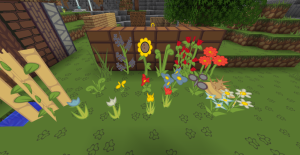 Inklination is a high definition cartoonish resource pack created by Samohtj as part of the Simple Pack Showdown two contest. Inklination is a complete vector-based resource pack made entirely with Inkscape. As the author said, this pack will always be a work in progress as there will always be a constant work surrounding the details of the pack, but it is already playable and covers most of Minecraft’s items and blocks. This high definition resource pack comes in three different resolution: 256 x 256 features the highest resolution for this resource pack and is probably the best resolution in terms of quality. 128 x 128 x, and the 64 x 64 which features the lowest impact on FPS. The resource pack somewhat reminds me of Sphax Pure BDCraft as they feature the same vibrant cartoonish graphics in a high definition, however, this resource pack is more simple and feels kind of like in a world of the Adventure Time cartoon series. Although the textures are cartoonized and the designs are simple, if you look closely you could see the details behind each textures. While using this resource pack, I felt like I was playing a different game similar to Zelda or Pokemon, as its graphics are inspired by lower resolution games. One of my favorite things about this resource pack is how nature looks. The foliage, the dirt, the grass, the leaves, the flowers, and other nature-based textures look absolutely gorgeous as if I am looking at an art. However, what I don’t like is that stone texture as it doesn’t fit nature at all and looks more like man-made bricks. This resource pack also covers the Nether and all of its parts – making the Nether more child-friendly or so to say. 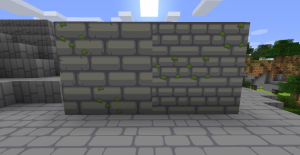 Download the latest version of the texture pack here. Click on Texture Packs (or Options > Texture Packs). Place the texture pack in this folder and wait until it shows up in your client. 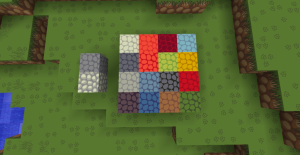 Select the texture pack and click done. 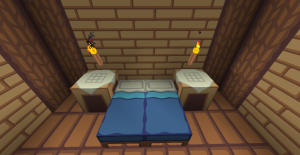 Did you find this texture pack awesome? Share your thoughts by leaving a comment below.